Mikhail Pletnev Interview with Bruce Duffie . . . . . Being a front-rank musician these days can mean several different things, and some of the best combine different aspects into one outstanding career. Mikhail Pletnev was — and remains — an extraordinary pianist. To this, he has added the role of conductor, and is becoming as accomplished with the baton as at his keyboard. He has even founded the Russian National Orchestra, the first independent orchestra in the history of Russia, and remains its Artistic Director. For more details about Pletnev, see the biography at the end of this interview. A contemplative artist, he was also thoughtful in his responses to my questions. It was not just that he was hunting for the right words, he was thinking over the ideas and considering how best to reply. He would often check words with me for pronunciation and for appropriateness of use. And while he felt his English was not good at all, it did convey his thoughts and intentions quite well. As usual in these kinds of situations, I have edited somewhat, but have changed as little as possible to make sure that his ideas come across correctly. I have left some slight imperfections to give a flavor of how he sounded rather than simply correct all the grammatical and structural mistakes. As you can see, he was hesitant at first, but he quickly warmed to the situation and almost immediately seemed pleased to respond to my questions. Mikhael Pletnev: I hope it’s not radio, no. BD: We’re going to only talk about music. MP: Oh, this is worse! BD: Why is it worse to talk about music? MP: Oh, because I cannot say yes or no. You ask me, I say, “Yes. No.”, if I understand the question. But to talk about music, you must be a poet. BD: Are you a poet? MP: No, I’m not a poet, especially not in English. BD: But when you conduct, or when you play the piano, are you a poet? MP: Yes, of course, I am. But here, there’s no piano, and no orchestra. BD: Is the music always in your heart and in your mind? BD: How do you divide your career between piano and conducting? MP: [Laughs] I divide my career... Well, it’s a good question. I never thought about career in my life. Only now. Some people, like managers and journalists ask me, using this word. It’s very hard to answer this question, because the only thing I want is just to enjoy music. I didn’t expect to go through obstacles to become something. I just enjoy it. BD: You enjoy the music and the performing? MP: I enjoy music in every form; sometimes as listener, sometimes as a composer, sometimes conductor, performer, anything. And how do I divide? Well, it’s one thing. I don’t divide. When I take baton or I sit as the pianist, it’s one thing. BD: Do you do more piano concerts, or more conducting? MP: Good question. I have to count, because sometimes it’s more conducting. Just now I was in Europe conducting orchestra. Then I played a little bit. Then again, I’m going to conduct the Russian National Orchestra’s jubilee concert, ten years. Beethoven’s Ninth Symphony. But before that I play piano. Then what do I do? I think I play piano somewhere else, and then in the beginning of January I’m doing another interesting project, a concert version of — you know Sergei Ivanovich Taneyev? MP: Composer, the pupil of Tchaikovsky and the teacher of Scriabin, and very important. He’s fantastic composer. I am doing his opera, Oresteia. BD: I know of the work. MP: In fact, it’s three operas in one, you know. It’s a trilogy. BD: Three short evenings, or one long one? MP: It’s one long evening, yes. So my life is like this, back and forth. BD: This is very good. Sometimes when a pianist goes to conducting, they no longer get to play piano. You’ve balanced it very well. MP: I try to. I try to, thank you very much. I try. In fact, I don’t dare make comparisons with great ones, but as an example, let’s say, who was Bach? A composer? Organist? He also conducted his Passion. Rachmaninoff and Liszt were great composers and conductors. BD: So you’re a complete musician? BD: Then from all of this music, how do you decide which pieces you will play or conduct this, and which you will not? BD: But how do you decide yes, or no? MP: When I just think about some projects I can be inspired by the ideas. And how do they come to my mind? I don’t know. They just come all of a sudden. Maybe association, maybe I just discover something, and then I have a wish to play or to conduct a certain composition. Let’s put it in the plot, yes. BD: Do you only conduct great works? MP: Well, I don’t know about great. I try to conduct and to play what I understand, what I value. BD: When you play these pieces, though, do you value them even more each time? MP: Yes, yes. There are some artists who are specialized. Maybe even me. I’m specialized, but I’m not that narrow specialized, such as only Baroque or only another period. I like music from Bach and Scarlatti to, let’s say, Prokofiev and Shostakovich. That’s my specialty, including Schumann, Liszt, Mozart, Beethoven, Tchaikovsky, something more, something less. So it’s a lot of material. BD: About three hundred years’ worth! MP: Maybe a bit less. And for modern music, I am not very keen of doing this music. So from the twentieth century it’s Prokofiev, Shostakovich — Russian composers. Rachmaninoff, but he splits eras. He’s a Romantic. BD: What would it take to get you to play a new piece? MP: A new piece... [pauses a moment] I think that first of all I must be touched by this. “Touched” is the right word? MP: Yes, touched by the piece. I must feel it and let it through my heart. If it works, if it responds to the vibration of this piece, then I take the piece. Sometimes I had to conduct some pieces which I didn’t understand. There are some other conductors who like modern stuff. They can do it much better, then why should I do it? BD: But how do you know, until you get into the piece, if it touches you? MP: I can read the score, you know. That’s a good thing. MP: I can read the scores. Unfortunately, the modern musical language is more tending to be not touching, you know, because when even I see the score, I see more constructive things. I see more sonorous experiments. I see more mathematics. And this is not what I’m attracted to. BD: Okay. We’re kind of dancing around it, so let me ask the very easy question. BD: What is the purpose of music? MP: Well, from my point of view, I am not going to generalize. I think there are two purposes, two reasons why to play or not to play. First is enjoyment. You play nice tune, you enjoy. It’s lovely. Second, and this more when we talk about the more sublime — like Beethoven’s last sonata or Ninth Symphony — it tends more to be more spiritual. It constructs, somehow, the relationship between God and humans. That’s a serious task. And from this point of view I accept very much light music, which I enjoy, if it is good — jazz, all this kind — even by great composers, like Chopin and the many nice waltzes; they’re not pretending to be sublime. Even Strauss, I like this also, but there is a greater music which has more spirit and which is unreachable, like Mont Blanc, you know. BD: Sure. Should it always be unreachable, or is it possible eventually to reach that top? MP: No, I think that it’s something else. For me, the Ninth Symphony by Beethoven has something inhuman. It’s inspired by God, like the evangelists who wrote the Bible. It’s not a human act. I can feel that it’s so deep, there are no boundaries. BD: So you explore everywhere? MP: Yes, yes. The more you plunge, the more you get more; it’s great. BD: Are there some pieces that you play that eventually you do get to the bottom, and then abandon them? MP: Yes, and that is disappointing, sometimes. There are some pieces, of course, you can get very easily to the bottom. A lot of modern music is like this. The proof of music is if you would like to re-listen to it or not. Sometimes you enjoy the music, but if people say, “No, I have understood it well; it’s enough,” I guess it means that it’s meaningless. MP: You know, my opinion would be also split here. My feeling is if one can enjoy music, like I do now, then why not to enjoy it? Several centuries after this time, the people then might enjoy today’s music the way we enjoy antique tragedies of many years ago. But my mind tells me that when I analyze the greats, or what we call music, we must ask why you are here. Even the term “genius” came only maybe less than two hundred years ago. Bach, who was a genius, would never think he was a genius. Genius was not an apply-able term for musicians. He did his job; he didn’t think about it. It was only in the nineteenth century that this sort of “bohemian artists, something a little bit crazy” became what we call genius. So from the whole history of humanity, we have only two, maybe two and a half centuries of very intensive development of what we call music. It came almost from scratch, from some religious-folk-things transformed into the primitive compositions, then more and more polyphonic. We all know the history of it. And then it came back to scratch because when you listen to this modern junk age — which is not modern anymore — it comes back to these primitive sonorities produced by any object, even a stapler. BD: [Laughs] So we’ve come full circle? MP: Yes, and I see this circle and I cannot see any future development of this circle because if we’re talking about melodies, which for me is important, which touches me, the modern composers are afraid of melodies. I mean this in terms of so-called classical music because there is, of course, pop music. In classical music, they don’t allow melodies to get into their music because it reminds them of something. If the melody comes, it comes in a very distorted way, somehow. The whole feeling is sort of frustration. I don’t know. I don’t know. BD: But you’re not frustrated when you’re playing Chopin or Beethoven? MP: Of course not! Of course not. It is such a pleasure. It gives you always a joy of understanding. So many people do nasty jobs; they deal with materialistic things and they get annoyed. But playing music is such a beautiful métier! It’s full of fantasy, full of inspiration, full of exploring this relation between human and divine. I am so happy that in the past time such a great music was created, and in such various ways. If you take on the Beethoven, this is a world! You take Chopin, it’s another world. Take Tchaikovsky, it’s another world. It’s really something. BD: So you’re bringing the materialistic people who are in the audience into this world? MP: Yes, and they do appreciate it, you know. If you play well, they get very involved and touched and moved by the music. BD: Are you conscious of the people who are on your right as you play? MP: No. The first thing, I try to forget who is in the hall because I am not playing for the audience. I am not playing for the audience. It’s senseless. BD: For whom do you play? MP: I am playing for myself. And when I am playing for myself, I must concentrate all my forces, and focus only on taking all my forces to do my best, to be with the music and to scale up with this. I know that other people are there, but they watch, and the more they watch, the more they get involved and the better I do it. BD: So we’re more than just eavesdropping? BD: Are we encouraging you? MP: Yes, of course. Of course. If I go on the stage and I play, and nobody’s is moved at one concert and the next concert nobody’s moved, if I play one year and people are yawning, I better stop this business. BD: I assume that will never happen! MP: Well, I hope not. BD: This is when you are at the keyboard. Are you also conscious of the audience behind you when you conduct? MP: No. I concentrate on orchestra musicians to bring the best out of them, to inspire them, to make them what I want. I cannot spend time thinking about other people. If I do this well, it’s my niche, you know. I have to concentrate on my niche. BD: When you sit down at the piano, are you playing an instrument or does that instrument become part of you? MP: For me it’s very important to establish the relationship with the instrument. I meet with the tuner before each concert. [See my Interivew with Franz Mohr, Chief Concert Technician for Steinway & Sons, 1968-1992.] Instruments must please me; I must do everything with the instrument. I just think it’s the way it can respond to everything that I do. And then, even more, I must like the sound. The more it inspires me, then the circle spirals upward. If I don’t like the instrument, it’s very bad. It will be bad concert. It will be a struggle with the instrument. If I don’t like what I produce, then it’s not good. BD: Are most of the instruments you encounter around the world good ones? MP: You know, again, it’s a privilege. Before, I had to perform in small stupid halls and on lousy pianos. It was sometimes very disappointing. If you would like to play softly, pianissimo, make a divine sound in Beethoven, instead we had these ugly sonorities. You cannot do anything. It’s torture. Now, maybe because of this “career” — which is a stupid word — it is possible for me to choose the places and instruments, and be more demanding on what I play. But it’s not only for the sake of this métier that I am being my best; it is to prove that it’s not for nothing that I go on the stage. BD: Is it possible you ask too much of yourself? MP: Well, you must demand always more, maybe twice or triple as much as you can do. Only in this case you can go a little bit above your usual ordinary abilities. BD: Is it special for you to bring Russian music to the rest of the world? MP: Well, Russian music is not a complex thing, you know. Russian music is very various. Scriabin is Russian music. Tchaikovsky is Russian music. But Scriabin hated Tchaikovsky, you know! There’s Mussorgsky which is Russian music, but Tchaikovsky hated Mussorgsky, you know. We must respect it, somehow, because there is a difference. Composers, they are more individuals. It’s very usual that composers think only in terms of their own music. They don’t accept the music even of fellow composers or colleagues. Sometimes it’s very funny to think that Tchaikovsky, perhaps, was a bad composer, but we think, “Oh, we are so clever.” We can see that Brahms was a genius and Tchaikovsky was also a genius and Rachmaninoff was a genius and Scriabin was a genius. We are clever to understand this; they are not clever, no. Scriabin lived in his world, and for him, Rachmaninoff was out of his world completely. But we performers now make the program, and we start with Mussorgsky, then we play Tchaikovsky, then we play... [both laugh] We are all consumers, you know. We have to be more objective. This is the difference between composers and performers. To a certain point, as I told you already, I cannot do everything. Some kinds of music is beyond my understanding, so I let others do it. But what I feel is close to me, what evokes feelings and desires, that’s what I like to present. And about Russian music, I seem to also not present Russian music as a package, but as a variety of different individual views, from the spiritual point of view because Russia is a very spiritual country, no? This is what is valuable in this music. BD: Do you feel that when you play or conduct Tchaikovsky or Scriabin or Rachmaninoff, that they are happy? MP: I try. I don’t know. Sometimes I listen to my interpretation and I hate it; I hate my recordings. All recordings I hate, because for me the only thing I really enjoy is the moment when I play. To listen to these concerts is very bad for me. BD: But you don’t mind that we listen to your records and enjoy them? MP: [Laughs] Yes, but sometimes it’s very strange for me. I do not share this enjoyment at all because for me, it’s only the moment of creation which matters, when I am guided by certain forces which I am not aware where they come from. BD: One last question: is playing music fun? MP: Of course. Of course, but only under conditions when you have a good instrument. I think it can be torture if the orchestra is bad. Stupid people are unable to make a good phrase, good sonority. They only spoil music. And the same thing when the piano is horrible, then you cannot do anything; you’re unable. It’s despair. It’s not fun at all. BD: I assume, since you formed the Russian National Orchestra, you didn’t let stupid people in. MP: They are not there. Most of them are very nice musicians. What I appreciate in this orchestra is that this is a very open orchestra. It has no routine approach. There are some orchestras, when you come to conduct, they think, “We know how to play! What can you tell us? We played it for a hundred years. We did that, that, that, that, that.” The Russian National Orchestra will be interested when I say, “Listen, guys. I have fantastic new ideas. I recently saw the manuscript of Beethoven. Let’s try this like this, maybe.” Not every orchestra is like this. BD: Do they play for guest conductors as well as they play for you? MP: Mmmm, depends. It depends if conductor has something, has a talent, has a view, and has a power to convince — they’ll follow. But, not always. 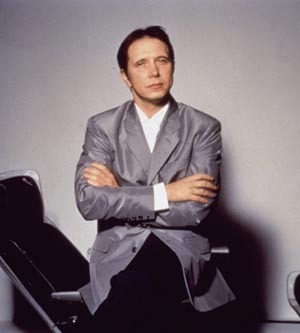 Photo Mikhail Pletnev is an artist whose genius as pianist, conductor and composer enchants and amazes audiences around the globe. His musicianship encompasses a dazzling technical power and provocative emotional range, and a searching interpretation that fuses instinct with intellect. At the keyboard and podium alike, Pletnev is recognized as one of the finest artists of our time. Pletnev was Gold Medal and First Prize winner of the 1978 Tchaikovsky International Piano Competition when he was only 21, a prize that earned him early recognition worldwide. An invitation to perform at the 1988 superpower summit in Washington led to a friendship with Mikhail Gorbachev and the historic opportunity to make music in artistic freedom. In 1990 Pletnev formed the first independent orchestra in Russia's history. The risks of this step, even with Gorbachev's endorsement, were enormous and it was Pletnev's reputation and commitment that made his long-held dream a reality. Sharing his vision for a new model for the performing arts, many of the country's finest musicians joined Pletnev in launching the Russian National Orchestra. Under his leadership, the RNO achieved in a few short years a towering stature among the world's orchestras. Pletnev describes the RNO as his greatest joy and today serves as its Artistic Director and Principal Conductor. In 2006, he launched the Mikhail Pletnev Fund for the Support of National Culture, a non-profit organization that supports major cultural initiatives and projects, including the RNO's annual Volga Tour and, in collaboration with Deutsche Grammophon, the Mikhail Pletnev Beethoven Project. 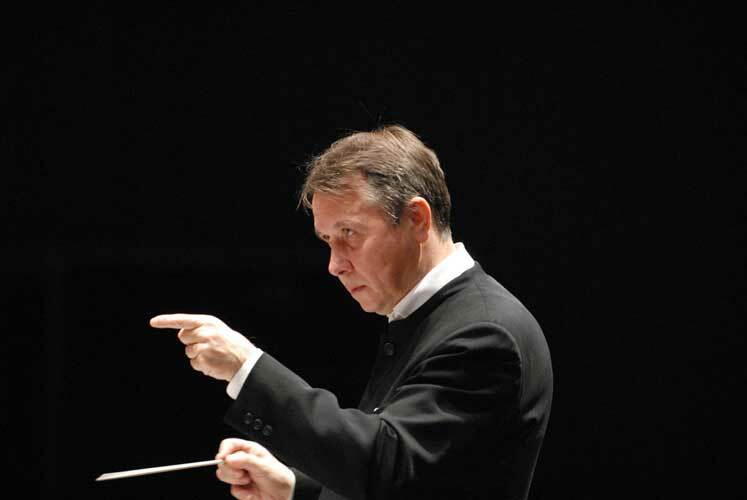 As a guest conductor, Pletnev appears regularly with leading orchestras such as London’s Philharmonia Orchestra, Mahler Chamber Orchestra, Tokyo Philharmonic, Concertgebouw Orchestra, London Symphony Orchestra, Los Angeles Philharmonic and City of Birmingham Symphony Orchestra. In 2008 he was named first guest conductor of the Orchestra della Svizzera Italiana in Lugano, Switzerland. As a solo pianist and recitalist, Pletnev appears regularly in the world's music capitals. His recordings and live performances have proved him to be an outstanding interpreter of an extensive repertoire. The London Telegraph remarked, "from Pletnev's fingers and brain come ideas that vitalise the music and make it teem with freshness and wit. [He] made the music positively leap for joy." The Times describes his playing as "born of a prodigious virtuosity of imagination outrageous in its beauty." Pletnev’s recordings have earned numerous prizes, including a 2005 Grammy Award for the CD of his own arrangement, for two pianos, of Prokofiev’s Cinderella, recorded with Martha Argerich and Pletnev at the keyboards. He received Grammy nominations for a CD of Schumann Symphonic Etudes (2004) and for his recording of Rachmaninov and Prokofiev Piano Concertos No. 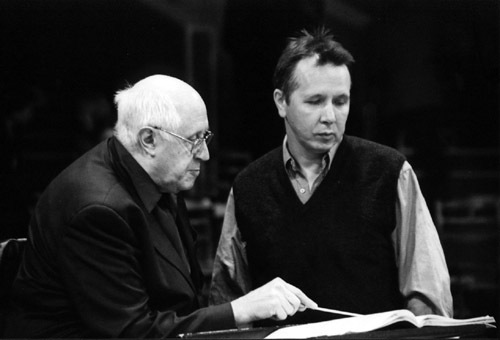 3 with the RNO and conductor Mstislav Rostropovich (2003). 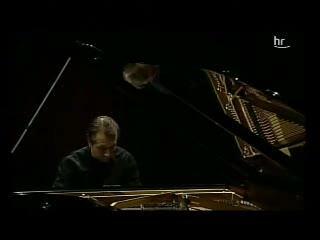 His album of Scarlatti’s Keyboard Sonatas (Virgin/EMI) received a Gramophone Award in 1996. BBC Music Magazine called the recording "piano playing at its greatest... this performance alone would be enough to secure Pletnev a place among the greatest pianists ever known." In 2007 he recorded all of Beethoven's piano concertos with Deutsche Grammophon, and the recording of concertos 2 and 4 was named "The Best Concerto Recording of 2007" by the Tokyo Record Academy. As a composer, Pletnev's works include Classical Symphony, Triptych for Symphony Orchestra, Fantasy on Kazakh Themes and Capriccio for Piano and Orchestra. His unrivalled transcriptions for piano of Tchaikovsky's Nutcracker Suite and Sleeping Beauty were selected, along with his performance of Tchaikovsky's Second Piano Concerto and The Seasons, for the 1998 anthology "Great Pianists of the 20th Century" (Philips Classics). The son of musician parents, Pletnev was conducting and learning multiple instruments as a young child and entered the Moscow Conservatory as a teenager. Today he is one of Russia's most respected and influential artists. 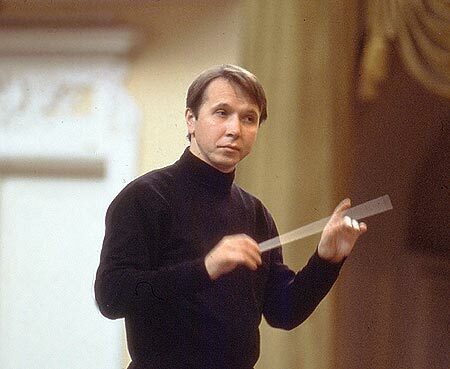 An advisor on Russia’s Cultural Council, in 2007 Pletnev was awarded a Presidential Prize for his contributions to the artistic life of the country. Pianist, conductor, composer and cultural leader — all are significant facets of Mikhail Pletnev's life as an artist. Yet he considers himself, simply, a musician. This interview was recorded in Chicago on October 27, 2000. Portions were used on WNIB (along with musical examples) on January 27, 2001. The transcription was made in 2008 and posted on this website in November of that year.